In 2012, there was a major outbreak of dengue in Tamil Nadu. Across the state, 12,826 cases were reported, but the epicentre was Tirunelveli district. There were 66 deaths. 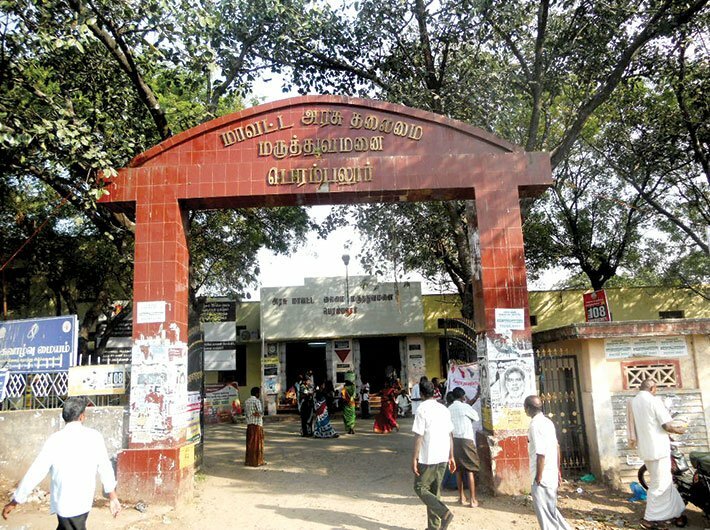 Bad as this was, it marked a turning point in the course of the disease: early in November 2017, scientists at the National Institute of Virology (NIV) in Pune announced the presence of a new, Asian genotype of the dengue-causing virus from the samples of the 2012 outbreak in Tamil Nadu and the 2013 outbreak in Kerala. This is a cause for worry, as scientists and physicians have no way of predicting how the new genotype will affect the stricken and whether it will resist old treatment protocols. It will be a game of wait and watch very carefully. Globally, the widely prevalent strains of the virus are DENV-1, DENV-2, DENV-3 and DENV-4. All four have been active in India, but the dominant strain has been what is called the American-African genotype of DENV-1, known to occur in 52 percent of serum samples of patients from across India. Now, along with the old American-African DENV-1 genotype, a new Asian genotype native to India has been detected. Scientists estimate that the new genotype has been around for six decades; but only of late has it caused dengue in sufficiently large numbers of patients to be detected in samples. And it is not as if the new strain has replaced the old: the old exists with the new, further fogging doctors’ view of how epidemics might play out. “Both old and new genotypes of DENV-1 are now co-circulating in Tamil Nadu and Kerala,” says Dr Rajan R Patil, senior epidemiologist and associate professor at SRM University, Chennai, who is studying how the two genotypes are competing for dominance. Will the new genotype cause more outbreaks of the disease? Will the symptoms be different, and, more importantly, more debilitating? Will it cause higher mortality? Will it cause more outbreaks? Will it cause variations in the existing form of the disease? What is the level of epidemics it will cause? Such are the questions scientists are seeking answers to. But the main cause of worry stems from the new genotype having been associated with severe and extensive dengue epidemics in Singapore in 2005 and Sri Lanka in 2009. In fact, there is reason to believe, say scientists, that the genotype may have arrived in south India from Singapore. “The Asian genotype would have entered south India years back, and now, whenever there is an epidemic, it spreads very fast,” says Dr Arvind Ramanathan, who has worked on dengue in Singapore for three years and is now based in Chennai. “Eventually, it might spread across the rest of the country. It is just a matter of time.” He says a research paper from Vietnam too mentioned that the Asian genotype virus had been found in patients there and that it was able to produce a larger number of viruses in the blood. Because of this, the chances of the disease spreading are much more. As is well known, the disease is spread chiefly by the Aedes aegypti species of mosquito. If patients have the virus in higher numbers in their blood, the chances of it spreading by mosquito bite are higher, says Dr Ramanathan. “In the rest of the country, it is still the American-African genotype. But it now seems that in Tamil Nadu, the Asian genotype has all but displaced the American-African genotype,” he adds. This poses a public health hazard. Singapore has dedicated teams for dengue that go from house to house to screen people for the disease and advise treatment. “Since dengue is a big threat in Tamil Nadu now, we should have dedicated teams. We have to work more systematically,” he says. Active surveillance is the only way since there is no vaccine against the disease, says PK Rajagopalan, former director of the Vector Control Research Centre, Indian Council of Medical Research, Puducherry. He says the government’s approach is lackadaisical; governments want quick solutions when there are outbreaks, but won’t create and sustain as system to prevent them. Treatment, by and large, remains the same, whatever the genotype. “The only problem is that since all four strains of dengue are prevalent, and a new Asian genotype has also emerged, we need to be extra careful and can’t ignore even a simple fever,” says J Radhakrishnan, principal secretary (health), in the Tamil Nadu government. Indeed, Tamil Nadu has a dengue problem on hand: this year, there have been more than 19,000 cases of dengue, with 52 deaths. (For comparison, in 2016, there were more than 2,500 cases; the death count was five.) But health department officials and public health volunteers say understaffing at health centres and hospitals is one of the major reasons the government has been unable to check the spread of the disease. “We have to go at six o’clock in the morning to supervise anti-larval programmes, which is actually the job of health workers,” says Dr Nuzrath Jahan. She says local self-government bodies too should take active part in trying to check the spread of the disease. So far, they haven’t taken part in such programmes. Besides, there is no staffing to organise medical camps to diagnose and educate people about preventing vector-borne diseases. No wonder, scientists and doctors are worried about the latest dengue outbreak.